Cataracts are typically a result of the natural aging process. When we age, our eye's lens gradually starts losing its clarity. Hence, you notice a drop in your vision quality. In addition, the lens becomes harder, and less flexible, causing a loss of ability to focus on near material. A lot of people consider getting a cataract surgery when their quality of life is affected due to this eye condition. Most patients complain that one or more of their activities of daily living (ADL's) are impaired by their loss of visual sharpness. 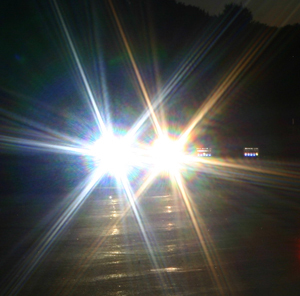 Increasing glare may also be a symptom of cataracts that could lead to a need for surgery. If you decide to undergo the advanced laser cataract surgery, you will be undergoing a more accurate procedure that could reduce the potential risks involved in the surgery while also improving the final surgery outcome. The surgeon will make use of a computer-controlled, bladeless laser (also called a femtosecond laser) for performing the laser cataract surgery. Detailed planning is required to perform laser cataract surgery. Prior to scheduling the surgery, your doctor will examine your eye’s anatomy and the diameter of your pupil. Other areas of examination will include the lens thickness, anterior chamber depth and the state of the cornea. After a thorough examination of your eye, the surgeon will choose a specific type of lens fragmentation. Dr. William Goldstein will enter the details regarding the structure, depth and location of cornea incisions to correct astigmatism and get you ready for the surgery. A highly specific instrument is used to measure the shape and size of the eye. These measurements help in deciding on the type and power of lens implant which should be used for a patient. The recovery period post a cataract surgery is typically very brief. Majority of the patients may experience improved clarity in their vision within a day or so. It is normal to feel minor itching, discomfort, touch/light sensitivity and/or fluid discharge after the surgery. In order to relieve these symptoms, your surgeon may advise the use of certain anti-inflammation eye drops. These antibiotic drops could minimize inflammation as well as infection risk. You would need to wear eyeglasses or an eye-shield in order to keep your eyes protected during the recovery period. Patients are advised to avoid any kind of pressing or rubbing action against the treated eye when it is healing. Most of the itching and discomfort tends to dissipate within a few days after the surgery.